Turkey – a mesmerising country brimming with culture, architecture, scrumptious cuisine, dramatic landscapes and shopping galore. 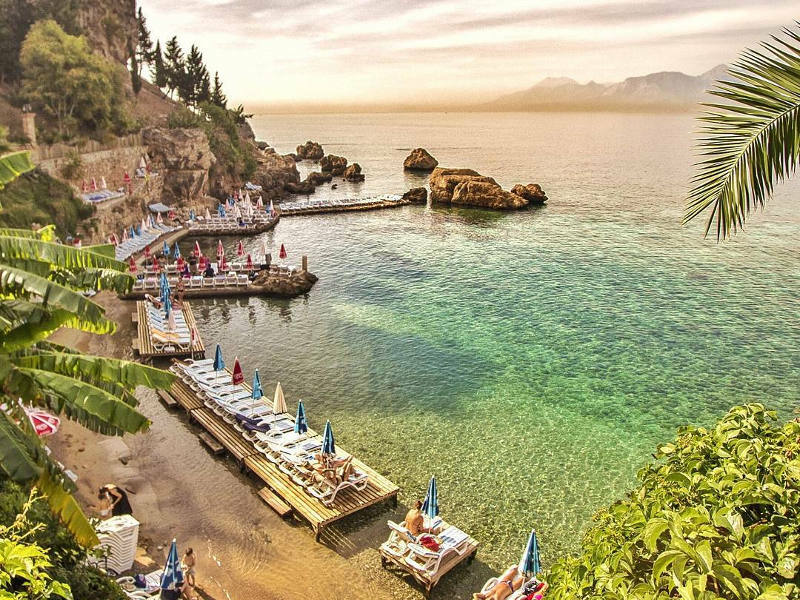 Turkey is becoming a firm favourite amongst South African travellers, and it’s easy to see why with its value for money and rustic charm. The award-winning Turkish Airlines offers 14 return flights between Istanbul and South Africa. Flights operate from Johannesburg, Cape Town and Durban, so you’re bound to find the flight you’re looking for. We’ve included all you need to know about how to apply for your Turkey visa, so all that’s left to do is pack your bags and jet off! Getting your Turkish tourist visa is a painless process that shouldn’t take you longer than 10 minutes. The simple online process is designed to issue your visa within 48 hours. South African passport holders used to be able to get their visa stamped on arrival, but now you are required to apply for your visa at least 48 hours before your flight and keep the printed out copy with you. Please note this process applies to South African passport holders. 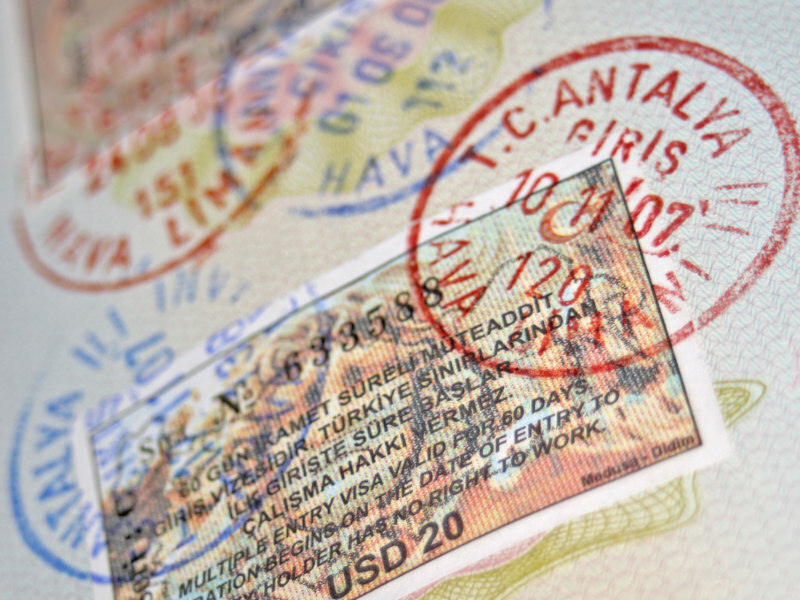 Depending on your reason for entering Turkey, there are different visas you’ll need to obtain. Tourist Visa – multiple-entry visa for tourists. Business travellers can also use this visa to attend business meetings or conferences. Student Visa – for accepted international students wishing to study in Turkey. You must apply for the visa in person at your nearest embassy or consulate before entering Turkey. Work Visa – apply at your nearest Turkish embassy or consulate. Please consult the Turkish Ministry of Labour and Social Security for detailed requirements. Research Visa – researchers wanting to carry out academic research must apply at their nearest Turkish embassy or consulate. For more visa information on living and working in Turkey, please consult the Turkey expat guide. The Turkey visa for tourists and business travellers is valid for 180 days. You may enter Turkey any time within those 180 days, but you may not stay for longer than 30 consecutive days, otherwise you’ll need to apply for a residence permit, or risk paying a hefty fine for overstaying your visit. For all visa applications, your South African passport must be valid for at least six months from your intended date of arrival in Turkey. South African passport holders visiting Turkey on holiday can apply for their Turkey visa at no cost. Simply follow the online process, select that you are a South African citizen and your e-visa will be issued free of charge. It’s that simple! *Please note these prices were correct at the time of publication, and are subject to change. Prices are calculated from the US Dollar. Payments may only be made via Mastercard, Visa and UnionPay cards. Payments should be made within 15 days of your application being approved. When applying for the tourist visa, you do not require any documents or photos. Simply fill out the online application, submit, wait to receive an email and print your e-Visa. For work permit requirements and processes, you can consult this visa document checklist or contact the Turkish Embassy for updated information. For more information on other types of Turkey visas, please consult the Ministry of Foreign Affairs website. The online process is very straightforward. You are advised to create your e-Visa application via the Electronic Visa Application System at least 48 hours before departure. Once your application is submitted, you should receive an email with your e-Visa. Print this out and keep it with your travel documents. If you need to apply for a non-tourist visa or visits longer than 30 days, you will need to apply in person at the Turkish Embassy in Pretoria. To make an appointment at the embassy, simply complete the online form. The issuing process may take up to 30 days, and you will be informed via email once your visa is ready. For assistance with your non-tourist Turkey visa application, Travelstart will gladly assist you with a free visa quote and evaluation from our partners at Visa Box. Now that you have your Turkey visa, the wonderful cities of Ankara, Istanbul and Antalya await! Let us know about your experience of getting your Turkey visa in the comments below. 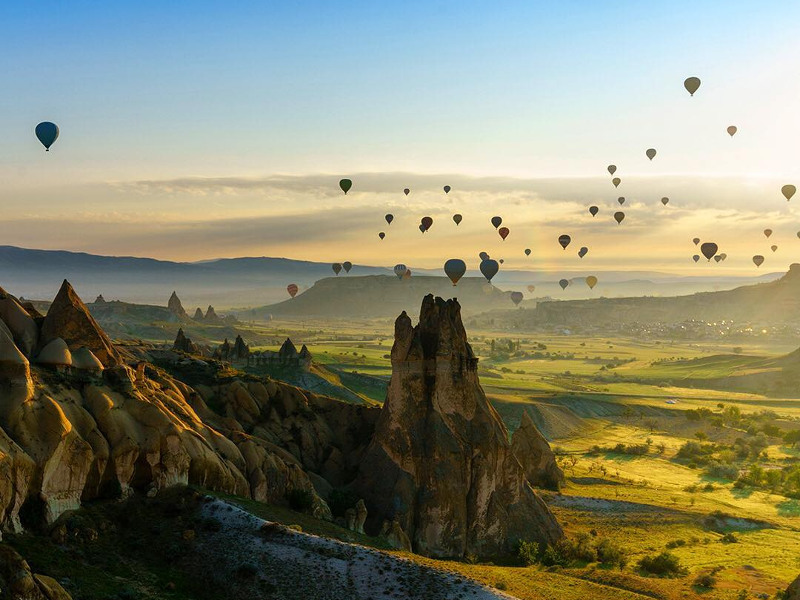 And remember to sign up for our newsletter to be the first to know about our fantastic flight specials to Turkey! All information on this blog page was correct at the time of publishing and may change at any time without prior notice from the original source. Travelstart is not affiliated with immigration authorities or their application centres and will not be liable for loss or inconvenience arising from the use of information from this website. my husband and i are traveling to Turkey in a few weeks and have tried a number of times to apply for an e visa, and to date have not received any e mail confirmation . we have both checked spam and trash boxes …..nothing . Sorry to hear you struggling with applying for your Turkish e-visa. I would suggest contacting the Turkish Embassy direct as they are the ones granting the visa, they should be able to check on the back end and advise on the way forward. We do hope you manage to come right. Enjoy your time in amazing Turkey. I am Patrick living and working in sout Africa I am from Congo DRC ,would like to go for annually leave of 10 days to have fun in Turkey how can you make it easy for me. I’m afraid we do not specialise in visa related queries for foreign passport holders. Please contact the Embassy direct or official visa handling agency. They will be able to advise on the correct procedures to follow, what documentation will be required and the cost. I bought my ticket for Turkey today and my flight will be on Saturday 17.20, I have my accommodation booked and my e-visa completed, My passport has been valid since 12th September 2018. Will this now be a problem for me to enter into the country? Thanks for contacting us. What seems to be your concern? You welcome to contact the Embassy direct. They will be able to answer any visa related queries you might have. I’m afraid we do not specialise in student visa’s so would not able to advise on the cost. I would suggest contacting the Embassy direct and they will be able to assist. Hi, I just applied for the Visa. If I understood correctly the Visa is free, however if you do the application on behalf of me I have to pay 450 Rand per person for your service, is that correct? Travelstart don’t specialise in visa applications for clients. However if you go through an official visa handling agency they would charge a service fee. If you hold a South African passport and apply for your Turkish visa online, it would be free. I see online the cost for a turkish visa is 20 USD (for South Africans). But your webpage says its free? Can you clarify? My colleague just applied for a Turkish visa a month ago online and it was free. South African passport holders visiting Turkey on holiday can apply for their Turkey visa at no cost. Simply follow the online process, select that you are a South African citizen and your e-visa will be issued free of charge. You welcome to contact the Embassy direct who will provide you with the most up to date information. Very informative article, will be making life easier for many who aspire to apply for a visa. Am a Nigerian but my wife is a south african. How do i get a turkish tourist visa since she can get her own done online via e-visa, what about mine? Thank you! I’m afraid we do not specialise in visa related queries for foreign passport holders. Please contact the Embassy direct or official visa handling agency. They will be able to advise if a visa or transit visa is required and if so what the cost would be, correct procedures to follow and what documentation will be required. I want to go to instambul. I’m afraid we do not specialise in visa related queries for foreign passport holders. Please contact the Embassy direct or official visa handling agency. They will be able to assist in answering any questions you might have. I’m afraid we do not specialise in work visa. I would suggest doing some research on this company who have asked you to pay this money upfront, as well as contact the Embassy direct to see if they have heard of this company. If you are wanting to do some sight seeing around Istanbul a visa is required. Below is the Turkish Embassy’s contact details. Please contact them direct as they are the ones granting the e-visa’s they will be able to provide you with the most up to date information on the correct procedures to follow. a Nigerian with a working permit, what process do I need for turkey visa ? I’m afraid I won’t be able to advise you on the requirements for Nigerian passport holder as we specialise in South African travellers. Please contact the Embassy direct or official visa handling agency. They will be able to advise on the cost, correct procedures to follow and what documentation will be required. Please may I make an inquiry? We will be travelling from Johannesburg to Israel via Istanbul on Turkish airlines and will be in transit and then later on back again. Do we need to apply for a visa? This depends on what passport the passengers are traveling on. Please contact the Embassy direct as they specialize in visa related queries and will be able to provide you with the most up to date information. We are going on a Mediterranean cruise in October and will be visiting Kusadasi for 1 day. Please will you advise if we need to apply for an e-visa? I read somewhere that this kind of visit is exempt? I’ve looked on the internet. Seems to be different when arriving by cruise ship. As we do not specilize in this area, we strongly suggest you contact the Embassy direct to get the most up to date information. Hello! Thank you for the advice with regards to the eVisa. I am in the process of purchasing flights to Istanbul but am wondering whether or not one is able to enter Istanbul (from another country) via Sabiha Gökçen International Airport. I know that Sabiha Gökçen International Airport is an International airport and that it was built to take the load off of Istanbul Atatürk Airport, so I assume that entering at Sabiha Gökçen International Airport would be the same as Istanbul Atatürk Airport? Or does one have to enter Istanbul via Istanbul Atatürk Airport? I will be flying in from Doha, Qatar and returning from Sabiha Gökçen International Airport to Doha, Qatar. I know it may sound like a silly question but I’d rather have straight up facts. Any advice would be greatly appreciated. With regards to flying into certain airports when you on the booking website and it allows you to book that route and complete the booking it should be fine. 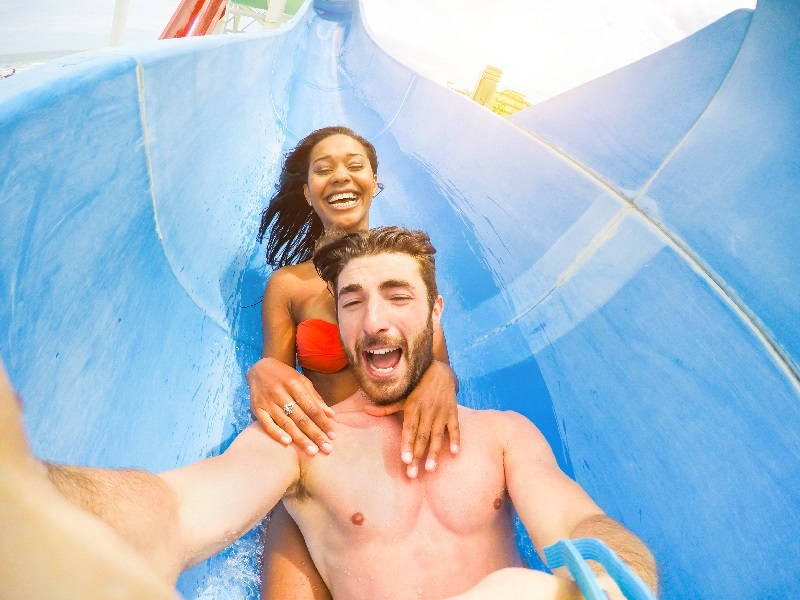 However I suggest its always best to book through a travel agent who specializes in these queries to avoid any disappointment in the long run. We do have a team of travel experts who will gladly assist you in making the booking and answering any questions you might have. However if you are a South African passport holder traveling to Turkey I always suggest you contact the Embassy direct to get the most direct information on visa’s, as this post you commented on was written over 2 years ago and things could have changed. Giving one information on how to apply for the e-visa. The link is also provided in the blog. If you have any further issues please contact the Embassy direct as they specialise in this area and will be able to assist. i am SA passport holder wish to visit turkey but from there i will like to visit isreal and then back to turkey,did i need a visa back to turkey? When filling out the visa application online, it should ask you if you need a single or multiple entry. You will then need to select multiple. However as we do not specilise in visa related queries please contact the Turkish Embassy direct to see what they advise and they will be able to provide you with the most up to date information. Many Thanks, Your Blog has been very helpful. Our e-Visa are ‘sorted’. Thanks for the feedback. Glad to hear it helped and that you received your e-visa for Turkey. Have a fabulous time in Turkey. It really is an amazing country to visit. I’m afraid I won’t be able to advise you on the requirements for an Lesotho passport holder as we specialise in South African travellers. I suggest you contact the Embassy direct for any visa related queries. They will be able to provide you with the most up to date information. a) put my arrival date on the application 2 days/1 week earlier than my actual arrival date? b) get a shorter than 30 day visa (I am only there 2 days) ? If these options are not possible online, can I get the visa at a Turkish embassy? To my knowledge your passport needs to be valid for 60 days from date of return from your travel. If it is not they could stop you at check-in or at immigration. I would like to know, if I would be allowed to travel to Turkey and pass through the immigration check with exhausted passport pages. I am holding a valid UK Visa and the passport is also valid. I have applied for e-visa on my existing passport and intend to travel in a weeks time. My new passport is yet to be received and I am unable to delay my business trip due to shortage of passport pages. Kindly advise. If your passport does not meet the requirement (have the necessary blank pages) to my knowledge you will be stopped at immigration / denied boarding. Same applies if your passport is not for 6 months from date of return. You welcome to contact the airline direct to double check. It’s up to the airline and immigration if they will allow you through if you do not have the correct number of blank pages. I’m afraid we do not specialize with visa related queries. For this you will need to contact the Embassy direct or official visa handling agency. They will be able to advise on the cost, correct procedures to follow and what documentation will be required. I’m afraid I won’t be able to advise you on the requirements for Ghanaian passport holder as we specialise in South African travellers. I suggest you contact the Turkish Embassy direct the will be able to advise on the correct procedures to follow, what are the requirements and the cost for a visa, should one be required. To my knowledge you should be able to fly from Ghana to Turkey, however we do not specialize in this area so I suggest you contact the Embassy direct they would be able to give you the most up to date information if this would be possible. I am planning on travelling to Turkey in May. I would like to spend a day in Greece/Greek islands. Would I still need to have a visa for Greece even though I’m there for one day visiting from Turkey? Thanks! Yes as you would need a Schengen visa if you are visiting Greece, even if it is only for one day. You can see if a friend is traveling to Turkey and could buy is from you. Or you can keep it should you ever be traveling to Turkey again. airlines that operate a specific route to ensure that you choose the cheapest possible option. You will need to insert the exact dates of travel and your route along with number of passengers. Should you wish to get assistance in making this reservation, we have a team of Travel Experts that would love to help. You can contact Travelbar by calling 021 468 4300 (Monday – Friday) or by sending an email to travelbar@travelstart.com with all details exact dates, routing and number of passengers and they will get back to you with 2 working days. Hi sir, I’m south African sitizen, I already visit Istanbul twice on 6 month e visa, they only give me 1 month entry in Turkey, but I like to sstay month regularly, please can u advice me to get 3 months or more 3 months visa to stay longer? For this you will need to contact the Turkish Embassy direct. They will be able to advise accordingly if they will extend your visa and its the Embassy who are granting the visa’s. I’m afraid I won’t be able to advise you on the visa requirements for Nigerian passport holder as we specialise in South African travellers. I suggest you contact the Embassy direct they will be able to assist in answering any questions you might have relating to obtaining a Turkish visa. We travelling to Turkey in Feb 2016, and our passports expire Nov 2016. Will this be valid to travel to Turkey? As long as your passport is valid for 6 months from date of arrival back from your trip and you have 2 blank pages in your passport you should be fine. I’m in Botswana and will be travelling to stay in Turkey 4 a year and want to know how to apply for visa here. You will need to contact the Turkish Embassy as you will not be able to apply for a visa valid for a year. When going onto their side it shows visa will be granted for a total period of 180 days. Your stay cannot exceed 30 days. And whatt about Somali passport? I’m afraid I won’t be able to advise you on the visa requirements and procedures for a Somalian passport holder as we specialise in South African travellers. You will need to contact the Embassy direct, they should be able to assist and answer any questions you might have. I am a South African flying to Dublin via Istanbul on an overnight flight. Do I need a visa for Turkey? I have contacted the Turkish Embassy on 012 3426053 and spoke to a lady who confirmed if you are in transit and traveling on a South African passport, you will not require a transit visa. I would suggest calling again just to double check. ZAF is South African. So your country of birth you will write South Africa. When completing the visa application form, it should stipulate if it must be in capital letters or not. If it does not mention this, I think either or should be ok.
How long to wait for turkey visa for lesotho passport holder for 6months? I’m afraid I won’t be able to advise you on the visa requirements for Lesotho passports holders or where to apply as we specialise in South African travellers. I suggest you contact the Turkish Embassy direct or a visa handling agency and they should be able to assist with any queries you might have on where to apply for the visa, how long the processing time would be and what all the visa requirements are. I stumbled across your link and am hoping you can help me. I am a SA citizen, currently vacationing (for the third time in five years) in Turkey on a 30 day visa which I received online. I’d like to extend my visit for another 2-3 weeks and wondered who I contact or what I need to do in order to get an extension. I will be in Ankara later this week where, I believe, the SA Embassy (Consulate?) is based. Any assistance you can offer would be greatly appreciated. Thank you – Tesekkur ederim! Hi Anni, you won’t need to apply through the South African Embassy/Consulate as they don’t issue visas for Turkey, they’ll only be able to help with stuff like if you lost your passport and so on. You’ll need to contact the Turkish version of home affairs there. I’m not sure if you will be able to extend your tourist visa, but my colleagues in Istanbul suggest you contact the Yabancılar Şubesi (Foreign office) there for help with extending it (if possible). Hi Yusuf, Turkey is no longer visa-free for South Africans, you will need to apply for a free visa online to travel to Turkey, see the link in the post above. Is there a maximum no of times one can apply for a 30 day visitors visa? For instance, if i’d like to visit Turkey in one month and then return 2 months later? What are the limitations? Validity of tourist visas issued by the Embassy are only valid for 3 months starting from the date of issuance. If a passenger is planning to visit Turkey 3-4 months later, they will need to submit visa application during the last month before departure or ask for another type of visa by specifying scheduled visiting dates. SA Passports are to be valid for a minimum of six (6) months. If you have any other queries you welcome to contact the Turkish Embassy direct they should be able to answer any queries you might have. Do I need medical insurance for a Turkish visa ? To my knowledge Travel Insurance is not required for South African passport holders. I do suggest you contact the Embassy direct as they will be able to give the most up to date information. A big up to you all for such an awesome and insightful webpage- it really does make travelling easier. I am off to Turkey and Italy in 2 weeks time and I have a British Passport as well as my RSA one. I know for Italy I don’t need a visa but do I still need to get a Turkish one if I have a British Passport? A visa is required for both SA and British passport holders. You can apply for both online. Please find below link for British passport holders applying for an e-visa. Hi, I am looking at traveling to Turkey in October. My current passport will expire in January 2016 so I will not be able to travel with it in October. There is currently a delay in processing passports, will I be able to enter Turkey with a Temporary Passport? Unfortunately this will not be possible to travel on a tempory passport. Home Affairs have since done away with this. I have found some information however this should be used as a guide only. Please confirm requirements with the consulate or embassy to get the most up to date information. Passports must be valid for at least 60 days from the date of expiry of a traveller`s visa, visa exemption period or residency permit to be able to enter the country. For example, a traveller with a visa expiry date of 20 May 2015 must hold a passport that is valid until at least 20 July 2015. Travellers without the required period of validity on passports will regrettably not be allowed entry into Turkey due to this new legal regulation. I’m planning on travelling to Turkey within the next month or two. I live in London and my SA passport is almost full, although it only expires September 2016. There’s space for a few more stamps but I have no blank pages left. I understand I can get a tourist e-visa for Turkey for and print this out, but would my passport need to be stamped as well? You will need to have 3 blank pages in your passport when traveling, this is for official purposes. They will stamp your passport when passing through immigration. Thank you for all this information. We are 7 ladies travelling to Turkey next week. We were under the impression it is not necessary for Visas. Hope we will still be in time to apply. If you have any other information we need to know I will be glad. Travelling via Dubai(connection flight) to Istanbul. If you are a South African passport holder an e-visa will be required which is done online. The application process is really not all that bad, in fact. You don’t need to send your passport in, it doesn’t cost you a cent and it only takes 10 minutes. Just note that this is only for people staying less than 30 days. Print out your e-visa and keep it with you throughout your trip to Turkey – you may need to present it when you leave as well. Hope this helps and have a fantastic time in Turkey! Thanks for this – I applied for my e-Visa and it took a few minutes. I received my e-Visa via email immediately. And it’s free for SA citizens! I wish all other visa processes were as smooth and easy as this. I live about 50 km away from Cape Town…..I wonder if there is Turkish embassy in Cape Town. I have an Italian passport and come from Italian family. I heard that I must apply a new South African passport. And if I want to visit Turkey then I have to travel with Italian and South African passports together…Is this correct?? Thanks for the interesting question. I am not sure if you will need to travel with both passports. I would suggest to contact the Turkish Embassy as well as the airline you will be traveling on who would be able to assist with the correct information. Hi am rana md shahin. I need a visit visa for Portugal. But I got south African business permit. Just I want to know , ,when I apply for Portugal visit visa can i get it. Please can you give me some information about Portugal visit visa. .
I’m afraid I won’t be able to advise you on the requirements for foreign passports we specialise in South African travelers holding a SA passport. Hi, obviously I’ll have to take my passport with to Turkey. I know in Europe at one point they accepted drivers licenses as identification too. Is that still the case or does that only count for EU citizens? If you traveling on a South African passport you will need to present this when going into Turkey or any country in the EU, as they will need to see your Schengen visa stamped in your passport. Unfortunately South African passport holders are not allowed to enter the EU or any country abroad using their drivers licence. This can only be used for traveling domestically within South Africa. Thanks for the interesting question. These details are kept on record so I am not sure if it will overlap. I would suggest contacting the Turkish Embassy to see what information they could provide. Hi there, I’m a South African citizen hoping to visit Turkey for two months (to visit my partner who works there, not to work myself). I understand that means I would not be able to apply for my visa using the online system for longer than 30 days, but is there the opportunity to apply for an extended tourist visa at the Turkish consulate? Is there a consulate in Johannesburg? There is a Turkish Consulate in Pretoria. You are welcome to contact them direct and they should be able to assist with any queries you might have. As we are a South African based company I am not sure on the procedures for Somalian passport holder wanting to apply for a Turkish Visa. I would suggest you contact the Turkish Embassy in South Africa and request the relevant information (correct procedures and documentation required) when applying for a Turkish visa. Hello Nick or Mercel , Do you guys work with the Turkish Embassy , I’m a Nigerian National residing in South Africa with a Business permit still valid . I just got married and I am planing a honey mood in Istanbul with my South African Wife . How do I apply for a Turkish Visa or rather what are the requirements for getting a turkish visa for myself and wife ? What are the requirements ? I did read through the website and I saw that passport holders that have visas or permit of OECD member states are only eligible to apply for E-visa , is south africa amongst the OECD member state ? Unfortunately we do not work with the Turkish Embassy or assist on visa processes. I know as a South African passport holder one can apply online for a Turkish Visa. It is a very simple process which takes about 15 minutes. In saying this I am not sure how the procedure is for a person holding a Nigerian passport. My best advise would be to contact Rose (Republic of Service Excellence) who specializes in visa’s and they would be able to assist with the most up to date information on the correct procedures to follow and what all is required. Thanks for getting in touch. We have not heard such news. Deportation is when a passenger has not complied with the rules and regulations of the government. Its not due to if there are unfortunate circumstances happening in parts of the country. Hi! I am a South African Citizen, currently residing in Beijing. I applied for the E-Visa but it came up with a message to visit the nearest consular. Applying for a visa through a consulate will take 7 working days. I unfortunately don’t have 7 working days to spare. 🙁 Any advice? or insight on what could be the problem? Or how to get a tourist visa in a shorter period of time? That is unfortunate. I would recommend you contact the Turkish Embassy in Beijing direct, to see if they are experiencing any problems online. As usually when a South African applies for a Turkish visa it takes roughly 10 – 15 minutes to receive their visa online. In saying this, maybe the process is different if one is not applying for the visa in South Africa. I would suggest you contact them directly so they can assist and advise you accordingly. I am a Cameroonian leaving in South Africa and need to visit turkey for less than 30 days and can i have help on how to apply for a tourist visa. I have a general work permit in my passport. I will appreciate your answer. Hi Eric, you can apply for a Turkish visa online, it costs US $60 and must be paid by master or visa card, just use the link above. Hello, if you have a South African passport you can apply for the visa online just as if you were born in South Africa. Good luck with your application. Hi Iqbal, I’m not sure I understand your question. You can get a visa any time for Turkey, we suggest you apply a couple of weeks/days before your departure as it’s done online. If your question is about staying in Turkey for longer than 6 months you will need to apply with the embassy in Pretoria and send your passport in. I am travelling to Turkey in late December 2014. Please advise as to how many days before I travel do I need to apply for my visa. How do I edit my arrival dates? I have sent in an application for verification but the arrival date is incorrect. I applied for the Turkish visa. It took about 15 minutes for 4 people. I wish all visa processes were so simple. I’m a South African citizen with UAE residency. Recently a Turkish employer told me I can’t apply for a Turkish work visa in the UAE where I’ve been living for years. UAE authorities however insist that I can. I would like to get some clarity regarding the matter. Hi I am a somalian sitizen I want to visit turkey .do I need a visa? This was really helpful. Thank you. I intend visiting Turkey in August The Turkish Lira is not available in South Africa, can I exchange South African currency in Turkey? Can I apply for a E Visa before buying a ticket? I was told that Bidvest Bank can supply Turkish Lire. You will need to call Bidvest Bank branch 24 hours before to order the Turkish Lire. If in Johannesburg, you can call Bidvest Branch on 011 884 4035 to order. Hope this helps. Change your ZAR before you go!!!!!!! You get much less when exchanging ZAR there. Change it to USD or EUR. When you arrive there change it to TL. Enjoy your trip. Hi, Im a South African citizen intended to visit Turkey in May this year, im a wholesaler and want to know where to go buy wholesale Turkish ladies fashion, when is the best time to go for summer sales and a Hotel nearby. I work incruise ship want to hoilday in spain do I need a visa will dock in spain want to visit for 7 days do u know any hostels. Barcelona, hostels international Calle Hospital , just off the Ramblas. Do I need a visa for spain if in spain already? Work on ships want to holiday for a week ? How do I do this do u know any hostels to stay? For RSA citizens- when arriving at Istanbul Ataturk airport use the Visa-2 immigration desks, not the Visa-1 section. Visa-2 is designated by a signboard for citizens of Kuwait, Jordan etc and is also for South Africans. Have your printed e-visa ready to show the immigration official. Would like to visit Turkey from 29 April to 7 may 2014. Please quote me for travel and accomodation. Please help. i am a south african citizen and will only be at Ataturk Airport in transit for 2 hours on my way to Dublin. Do I need a turkish visa? I have contacted the Turkish Embassy who confirmed a South African passport holder traveling from South Africa to Ireland and transiting in Istanbul does not require a transit visa. However please contact the embassy for the most up to date information, as this could change at anytime. They will be able to provide you with the most up to date information if a transit visa is required or not. Turkey for 2-3 weeks in August. My wife has an Italian Passport will she need a visa? I am really interested to go and visit Turkey and discover some more places , thank you very much for opportunity to go with your services . please may you advise if there are date open from the 29april til 01may2014?